Real Estate in Estero, Fl 33928 offers homes and condos for sale. Vacant land is also available in this beautiful tropical city. There are many types of communities including many golf and gated neighborhoods. As of the 2010 census, the population was 18,176. Much larger now. It is the home of Hertz Arena. This facility hosts the home games for the Florida Everblades ECHL hockey team. Estero is Florida’s newest city. It is growing exceptionally fast and real estate prices have been rising. 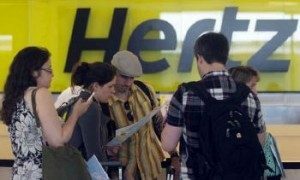 We welcome the Hertz world headquarters to Estero. They are employing many Lee County folks. The company how has it’s name on the arena in Estero. They are currently hiring. Florida Gulf Coast University is also located just outside of the Estero Planning District in Fort Myers. The University has earned the name of Dunk City for it’s phenomenal basketball team. heart of the city is the spring-fed Estero River. The river flows to the Gulf of Mexico. Some of the earliest European settlers of the area notably the Alvarez, Fernandez, Soto, and Johnson families were fishing families. They lived on Mound Key, a mangrove-ringed island that dominates Estero Bay. During the early 20th century, these families moved up river to the settlement which came to be known as Estero. The city is also the location of an idealistic community called the Koreshans. It is now preserved as the Koreshan State Historic Site. 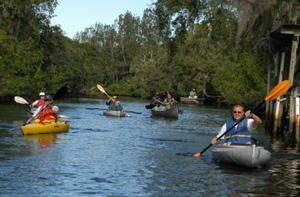 Most settlement and development was along the Estero River. At Estero High School, students have the opportunity to take Advanced Placement course work and exams. The AP participation rate at Estero High School is 29 percent! Estero real estate is located along Florida’s Gulf Coast. Between Fort Myers to the north and Naples to the South. For many years, Estero was a fruit growing community. Today, it plays host to Florida Gulf Coast University and serves as a relaxing slice of paradise. Visitors will enjoy the nearby beaches. They will be intrigued by Estero Florida’s Mound Key Archaeological State Park. Rising more than 30 feet above the water, many miles from shore, ancient shell mounds transform the landscape of Estero Bay. Made of bones, shells and pottery pieces This is believed to have been the ceremonial center of the Calusa Indians. Access to the site is by boat only, but the journey is well worth it. Estero, Florida has a climate that is hot during summer when temperatures tend to be in the 90’s and mild during winter when temperatures tend to be in the 60’s. July is the warmest month of the year with an average maximum temperature of 91.70 degrees. The coldest month of the year is January with an average minimum temperature of 54.50 degrees.